Want the best from WTX News in your inbox? Sign up here. Danish police have banned the second demonstration by an anti-Muslim Islamophobe in a neighbourhood in Copenhagen with a large population of immigrants to avoid violence and unrest. 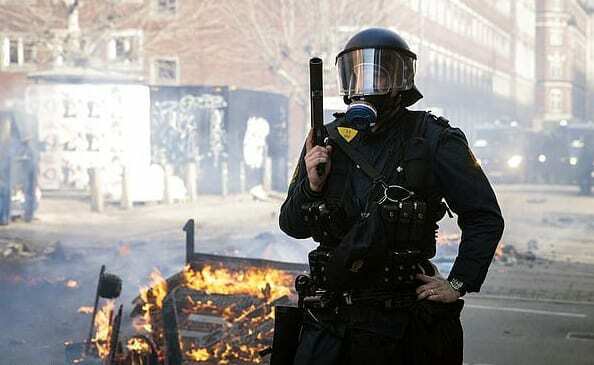 The unrest has been spreading since Sunday to several parts of the capital after Rasmus Paludan, the founder of the anti-immigrant party Hard Line, held a demonstration. Danish Police are also investigating a hand grenade found in the square where Rasmus Paludan was to stage his demonstration. Rasmus Paludan is a lawyer who leads a far-right movement in Denmark. He is particularly inciteful in his demonstrations which are of anti-Muslim nature. In a past demonstration, he was seen inciting a mainly Muslim crowd by throwing the Qur’an in the air several times on a square in the Copenhagen neighbourhood of Noerrebro before a raging crowd. Rasmus Paludan is a lawyer who has been linked with the Dutch Far-Right group led by Geert Wilders. Geert Wilders’ Dutch Freedom Party (PVV) is known as one of Europe’s most Anti-Muslim parties.